"Street Fighter II" is a clone/remake of the classic street fighting arcade game "Street Fighter II: The World Warrior." "Street Fighter II" was originally released by Capcom in 1991 as a co-op arcade game and sequel to the original "Street Fighter" game. In the game, two fighters face off in a hand to hand fight in which only one will remain standing. Players will select from one of eight fighters from around the world, each of which has their own special combo moves, attacks, strengths, and weaknesses. The graphics found in this version of "Street Fighter II" is virtually identical to the original Capcom arcade version of the game. 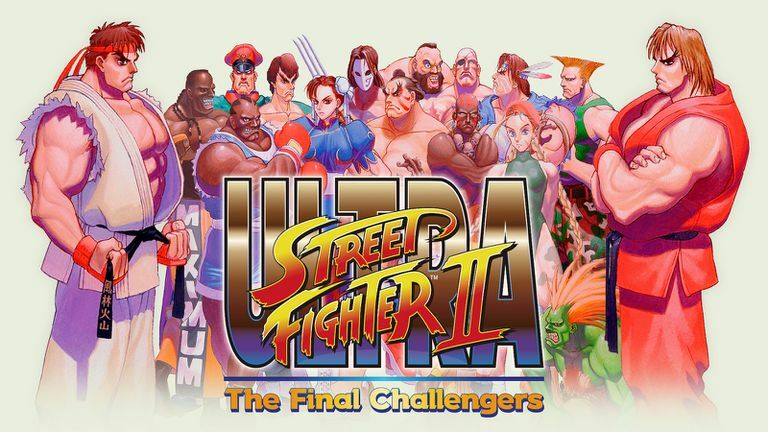 The characters available are two from the original "Street Fighter" and six new characters all from different countries from around the world. In addition to the eight playable characters, there are four non-playable characters known as Grand Masters which are faced with boss fights. In the game, players will face each of playable characters, seven in all. If and when they are able to defeat each of those opponents players move on to the boss fights against the four grandmaster opponents. Here is a complete list of playable fights as well as the four non-playable grandmasters. E. Honda - Country of Origin: Japan. E. Honda is a Japanese Sumo wrestler who features six special attacks and combo moves that include both punch and kick attacks. Blanka - Country of Origin: Brazil; Blanka is a mutant human who is green-skinned, orange hair and has the ability to generate electricity. In "Street Fighter II," he features four special attacks/combo moves. Guile - Country of Origin: United States; Guile is an officer in the United States Air Force and features six combo moves and two special moves, the sonic boom and somersault kick. Ken Masters - Country of Origin: United States; Ken Masters is probably the second most recognizable character from "Street Fighter." He is the former training partner to Ryu and the two are considered rivals. Ken features five special attack or combo moves in "Street Fighter II." Chun-Li - Country of Origin: China; Chun-Li is the first female character in the "Street Fighter" series. In addition to being a martial arts expert, she is also an Interpol agent. She features six special combo moves/attacks in "Street Fighter II." Zangief - Country of Origin: USSR; Also know as the Red Cyclone, Zangrief is a professional wrestler from the USSR that features eleven special combo moves/attacks. These attacks include classic wrestling moves such as the Pile Driver and Iron Claw to name a few. Dhalsim - Country of Origin: India; Dhalsim is a long range fighter who specializes in Yoga attacks including the Yoga Smash, Throw, Fire, and Flame. In all, he features size unique combo moves and attacks. Balrog - Country of Origin: United States; Balrog is a professional boxer and non-playable grandmaster who players will face in one of the four boss fights after defeating the seven playable characters. He is similar in appearance to Mike Tyson and features four special combo moves/attacks. Vega - Country of Origin: Spain; Vega is a boss fight/grandmaster players face at the end. he features seven special combo moves/attacks. Sagat - Country of Origin: Thailand; Sagat is an unplayable boss character in "Street Fighter II" that has become playable in later entries in the series. He specializes in Thai kickboxing and features five special moves/attacks. M. Bison - Country of Origin: Unknown; M. Bison is the most recognizable villain in the "Street Fighter" series. He is the leader of the Shadaloo and the final opponent players face in "Street Fighter II." He features six special attacks including the Psycho Crusher which is his signature move where he is surrounded by a blue flame and flies at the player causing large amounts of damage. There are a few clones of "Street Fighter II" available for the PC, one listed is the Capcom DOS version while others are clones/remakes.